2019 is officially underway, and with a new year comes new financial change. 2019 brings several changes to estate and trust income brackets, as well as exemption amounts for estate, gift and generation-skipping transfer (GST) taxes. You may already know that tax brackets have changed, and are wondering how this might affect your estate tax filing and returns this year. With tax season rapidly approaching, here are answers to some common questions about dealing with your estate taxes. Do I need to file an estate tax return? If a decedent died in 2016, you must fill out an estate tax return if the gross estate of the decedent is valued at more than the filing threshold for the year of their death. For 2019, the threshold is $11,400,000. For 2018, the threshold is $11,180,000. This gross total includes increases by the decedent’s adjusted taxable gifts and specific gift tax exemption. You must also file a form if the decedent chose to transfer any deceased spousal unused exclusion (DSUE) to a surviving spouse, regardless of the size of the estate. What happens if I missed the deadline for filing an estate tax return? The estate tax return must be filed within nine months after the date of the decedent’s death, or within 15 months if you’ve obtained an extension. 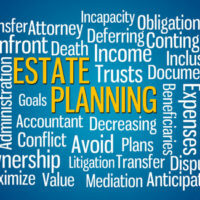 The availability of an extension depends on whether the estate has a filing requirement, based on the year of death threshold. You can file for an extension for up to six months, but the correct amount of tax must still be submitted by the due date if you want to avoid interest. Is it possible to reduce the Estate Tax? What Estate Tax changes can I expect this year? Estate tax is essentially a tax on inherited wealth, and only applies to the wealthiest U.S. households. Under the Tax Cuts and Jobs act, the Estate Tax applies to even fewer families, as the threshold from a decedent dying in 2019 has increased from $11.18 million to $11.4 million this year. This means individuals can leave up to that amount to their heirs and pay no federal or gift tax. A married couple will also be able to shield $22.8 million for their children and grandchildren. However, the taxpayer’s lifetime gift applicable exclusion remains the same at $15,000. Regardless of whether your estate is taxable or not, everyone needs to plan one for the financial security of the loved ones left behind. Legacy Protection Lawyers are here to help navigate all of your estate planning questions to make sure you and your loved ones are looked after well into the future. We offer comprehensive estate planning, from wills to trusts to long-term care planning. Contact our St. Petersburg offices to learn more about protecting your assets and wealth. Call 727-471-5868 to schedule your consultation today.